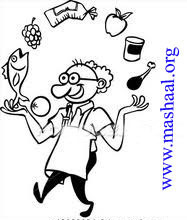 If you need well experience and verified indian, chainease, continantal cook then please call us mashal. Mashal Social Welfare Society is a non political, non religious and non profit making tribal development organization founded by the tribal themselves for holistic empowerment of the tribal peoples in 1999. Society is registered under the society?s registration ACT XXI of 1860 No.S-52397 of 2005. Since the tribal areas are cut off from mainstream and large numbers of tribal villages are in remote and inaccessible area where development efforts have not shown any impact, in this context, we the tribal people have decided to take up many development and welfare activities for empowering the tribal comprehensively. Especially in the areas of rural development, educational empowerment, infrastructure development in the tribal villages and also vocational guidance, job oriented training to tribal women who have already migrated to different cities nd towns in search of gainful employment and also to provide timely help for needy and un employed youth. It is well known fact that developmental efforts and benefits are not reaching to the tribal areas, tribal people suffer with low literacy, extreme poverty, exploitation, deprivation and also many human right violations occurred among them. Therefore, there is a need to tackle these issues effectively by approaching Government of India and Human right National and International Organizations.